I doubt all the pieces cost her much more than five dollars. 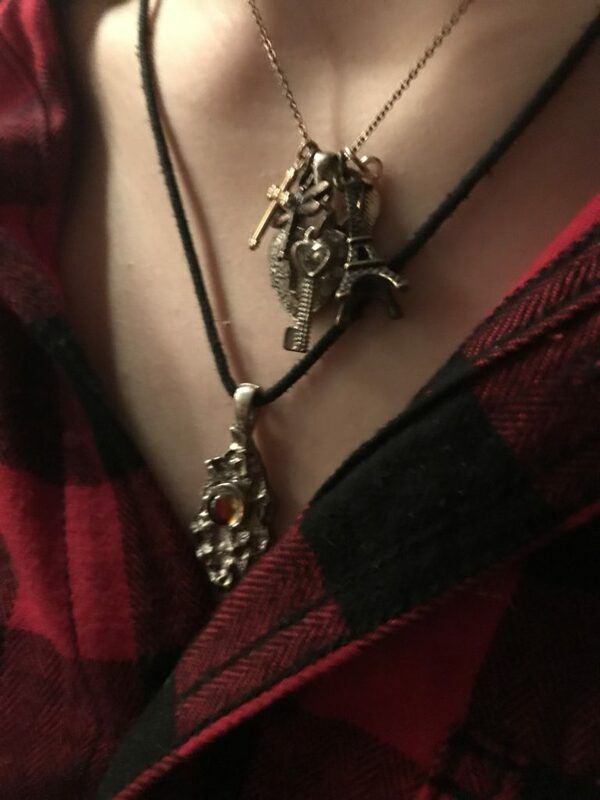 She chose the pendants on her own and insisted on paying for them herself. It wasn’t until the next day that I saw what she’d made: a charm necklace with an Eiffel Tower, a key with a heart in its base, a butterfly, a flower … and a Christian cross. The last I’ve been praying for. And when answered prayers come down from the highest places of Heaven, it deepens my faith all the more.